1.Heat medium saucepot of water to a boil over high heat; add eggs and return to a boil. Reduce heat to medium-low; simmer 6 minutes and drain. 2.In small bowl, stir garlic, cheese, orange juice, basil, pepper and paprika. 3.Carefully peel eggs. 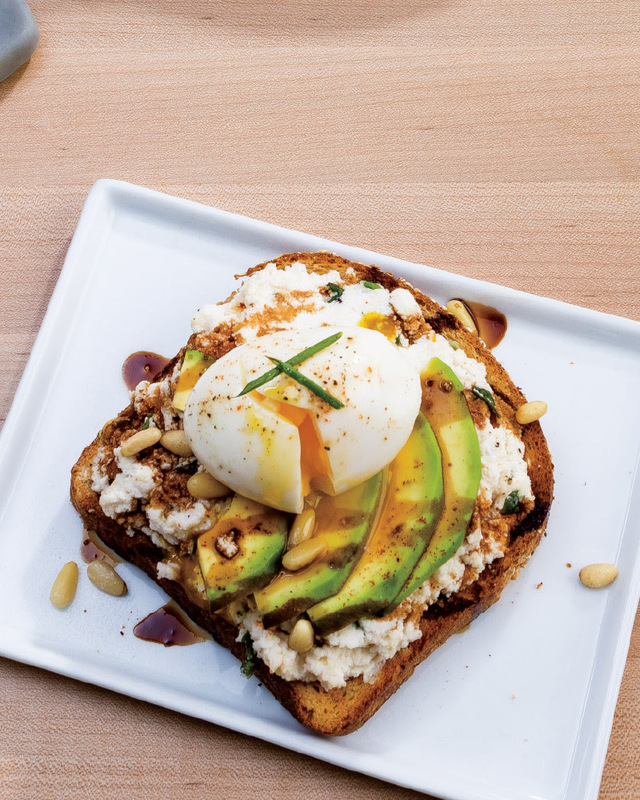 Spread toast with ricotta mixture; top with avocado and sprinkle with pine nuts. Top with eggs and sprinkle with chives. Top off your toast with a drizzle of balsamic glaze. > Instead of using ricotta cheese, you can also swap for a low-fat cottage cheese.